Credit unions have typically been slower to adopt new fintech solutions than other financial institutions, but that is changing. 2018 was a great year for innovation in the finance space, with technology making processes faster, more productive, and more customer-friendly. Credit unions are increasingly recognizing these advantages of tech-driven lending solutions and are looking to deploy them in their own operations. For credit unions that are exploring tech solutions, the experience of online lenders is a great source of practical information. 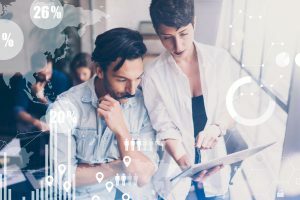 This article will summarize some of the important factors a credit union needs to consider when assessing tech solutions: Tech trends driving the market, what is already being successfully used by credit unions, and how tech solutions work to benefit the lending process and customers. Shift from sales-oriented to inbound marketing – In many respects, fintech makes selling the credit union’s products easier, because customer data can be analyzed to tailor product offerings on a more customer-specific basis. More efficient use of internal data – Data integration allows for faster cross-checking of customers’ loan applications and their other business with the credit union. This also allows the expansion of the basis for credit scoring without seeking additional outside data from the customer. 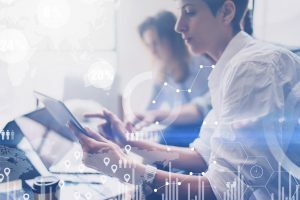 Improving multi-channel capabilities – With data integration, credit unions can more easily develop and deploy multi-channel customer interfaces, such as web and mobile apps. 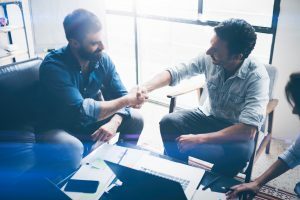 Virtually every review of current fintech trends in the credit union segment points to partnerships between the institution and the technology provider as the key to success for both. The traditional trust dividend credit unions help in customer acceptance and retention when new technologies are introduced. Getting ahead of the competition – In many cases, credit unions are seeking beneficial partnerships with fintech developers who also represent competition by way of the online lending space. In a sense, credit unions can beat the potential competition by co-opting it. The credit unions benefit from access to the technology, while the fintech providers benefit by gaining stable market access and avoiding the intense competition in online lending at the same time. Economic practicality – For credit unions with legacy systems, or systems with only relatively basic capabilities, partnering with software-as-a-service (SaaS) provider offering cloud-based solutions saves money and effort. A credit union can have an automated lending solution up and running in a matter of days or weeks without having to make a heavy investment in system infrastructure or dedicated human assets. Data and system security concerns – The downside of tech solutions that offer system-wide data integration and multi-channel customer access is that vulnerabilities to security breaches are increased. Credit unions are aware of the risks, of course, but it is accepted almost as an article of faith that cybercriminals’ capabilities will continue to remain on par with or even a little ahead of security measures. Credit unions are taking proactive measures to safeguard customer data and system security such as data tokenization, segmenting networks, and applying analytics to system user behavior. A partnership with a fintech provider is vital, however; cloud-based solutions offer an extra layer of data security, while the up to date expertise of the solution provider can help fill in gaps in the credit union’s knowledge and coverage of security concerns. Automation relieves people of “routine” work – When automation is applied to loan origination and underwriting workflows, AI-driven systems can manage ordinary loan applications and free up personnel to focus on more irregular or complicated cases. The automated system can also work much faster than any human, meaning that work volume can be increased without additional costs in time or personnel. 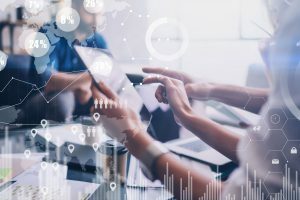 Automation reduces the risk of errors – An automated system that manages data in an integrated platform eliminates the need for multiple human entries of key information, thus reducing the risk of error to only that which may come from customers providing incomplete or incorrect information. Even in those cases, AI capabilities to learn and detect patterns in data make it possible for the system itself to spot errors and request the correct data from the customer, minimizing additional processing time. Automation helps to reduce operating costs – An automated system naturally reduces the credit union’s staffing needs as well as maximizing the capabilities of existing staff. Automated systems are also being designed to be increasingly “user-friendly,” with intuitive interfaces for both staff and customers, thus reducing the amount of time needed for effective training. With much of the work involved in each single customer transaction being handled by the automated system, credit union personnel can devote more time and attention to personal interaction with customers. As the McKinsey study indicated, this is precisely the sort of customer experience a majority of clients prefer, and what will keep them returning for new business. MonJa Underwriting Automation Software is a great fit for small and medium-size credit unions. Receive unique insights from our team. Sign up for regular updates!